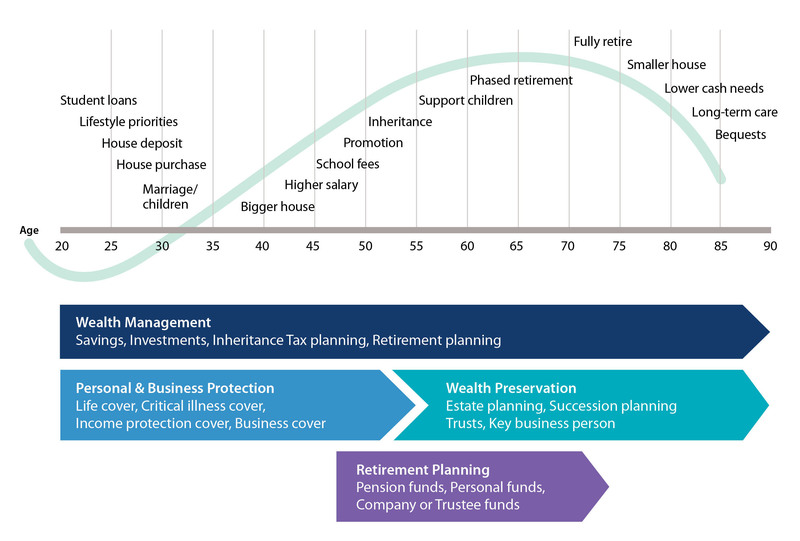 Protecting wealth: Protecting you and your family’s standard of living against the unexpected. Creating wealth: Making the most of tax-efficient* investment opportunities so that money is available when you want to spend it. Managing wealth: Ensuring you maximise your standard of living when you don’t want to work so hard. Retaining wealth: Retaining more of your hard-earned money legally and ethically. Preserving wealth: Preserving the value of your estate for the benefit of your family. *HM Revenue and Customs practice and the law relating to taxation are complex and subject to individual circumstances and changes which cannot be foreseen.